Download latest version of NoxPlayer for computer to run Android apps/games on compatible versions of Windows or macOS. Nox Player update v6.0.3.0 for Windows PC and MAC. In this post, we are going to discuss everything introduced in the new update. 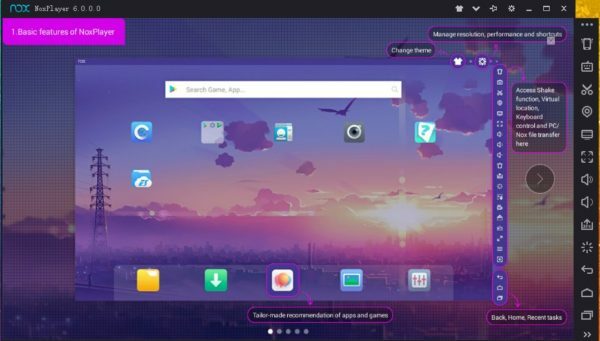 Also see how to install NoxPlayer on desktop and laptop computers to get this best Bluestacks alternative emulator tool for free. Android’s open source nature makes it a preferred choice for those who like to run mobile specific apps and games on computer. Apple’s iOS is not easy to emulate on computer if you want to run iOS apps on PC and MAC. Although there are iOS emulators for PC available, but many don’t run all apps smoothly. On the other hand, Android emulators for computer are way ahead in terms of range of operating system support and effortlessly running mobile games on desktop or laptop. Android being the biggest mobile app platform has amazing variety of applications that are not available on Windows and Mac OS. Android emulator makes it possible to run Android mobile apps on computer without any compatibility issues. Due to high demand of Android emulators, users have a large selection of such tools but not all of them are up to the required standard. So if you are looking for best Android emulator, we are here to help you out. NoxPlayer is considered one of the best Android emulators currently available for Windows and MAC. NoxPlayers comes with Android Marshmallow pre-installed on it. User-interface is intentionally kept simple for easy navigation through various menus and sections. This is the first major update that the Nox App Player has received since its launch. Developers have promised to release more frequent periodic update from hereon, which is great to know as it will keep the emulator tool secure and fast. Users will be able to use the new mouse lock function. This works when you press the F10 key on keyboard to freeze the mouse pointer in desired position so that it remain inside the instance window. Gameplay will be uninterrupted as a result because users don’t have to worry about the mouse pointer slipping out of the instance window. Android games are designed to function on touchscreen enabled displays of mobile devices. Playing them on PC with mouse and keyboard requires extra supported features, which you get in NoxPlayer v6.0.3.0 update. You can now play popular Android titles such as Clash of Clans, Clash Royale, Pokemon GO and others on your computer using NoxPlayer. Mouse sensitivity has been improved to make it easier to control directions in first-person shooter games. Bugs and performance issues spotted in the previous version are gleaned out of the emulator tool in this update. Nox Player 6.0.3.0 is free to download and install on compatible devices. We’ll explain the installation method to get the new version 6.0.3.0 in the following tutorial. Latest update allows users to bulk import and export scripts in NoxPlayer. Right-click on mouse has been added for FPS games. Simply right-click on mouse to zoom in and out in shooter games. Latest update supports both 2D and 3D Android games. Although NoxPlayer v6.0.2.0 was released only recently but due to some issues developers quickly followed it up with another update 6.0.3.0 to weed out unexpected issues reported by users. You can download any of the two version but we recommend that you install the latest NoxPlayer version for better experience. 1 – Download Nox Player from the official link. 2 – Click on the downloaded installer file and follow on-screen setup instruction. 3 – Once installation is complete, launch the NoxPlayer on your computer. 4 – In Nox, head over to Google folder > Open Google Play Store. 5 – Log in using your existing Google account details. If you don’t have a Google account, create a new one first and then log in to NoxPlayer. 6 – When you’re logged in, you can start downloading Android apps and games on computer. 1 – Open NoxPlayer tool on your computer. 2 – Make sure you’ve logged in to Nox using Google Play Store account. 3 – Click on the Play Store inside Nox. 4 – Now type the name of any app or game you want download in the search box. 5 – From search result, click on the app/game and hit Install button. 6 – After the installation, game/app icon will show in the home screen of NoxPlayer. 1 – Download the APK file of the desired app or game from a reliable source on the internet. 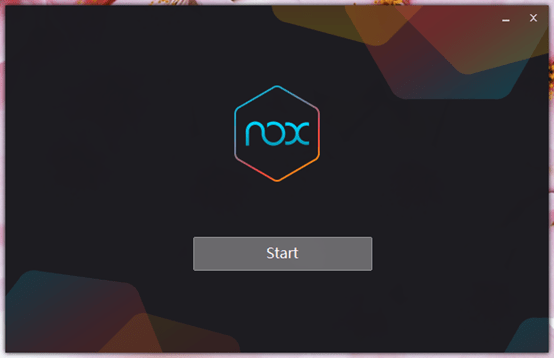 2 – Launch Nox App Player on your computer. 3 – Now click on the APK button in the toolbar of the NoxPlayer. 4 – Locate the APK file where you saved it on computer and select it. 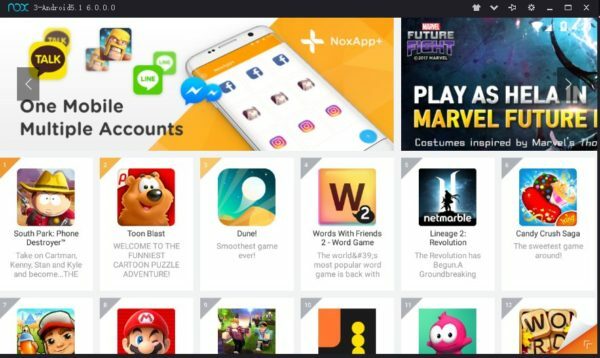 5 – Wait for the installation to complete after which the app/game will appear on the NoxPlayer’s home screen. 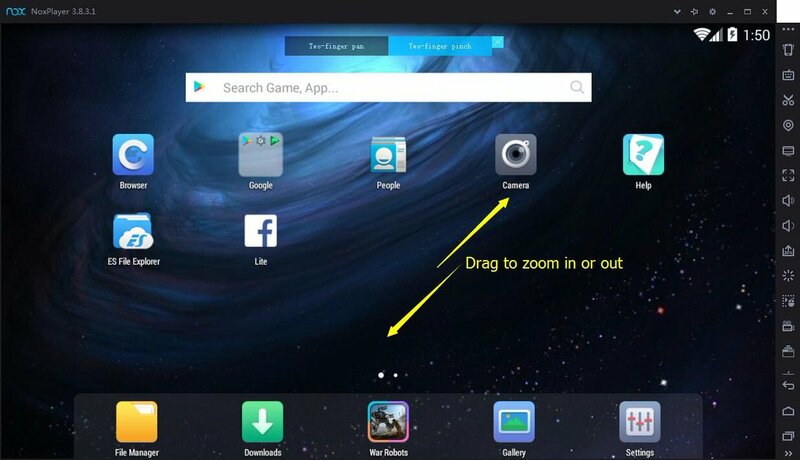 6 – simply click on the app/game and follow on-screen setup instruction to start playing it on PC or MAC.